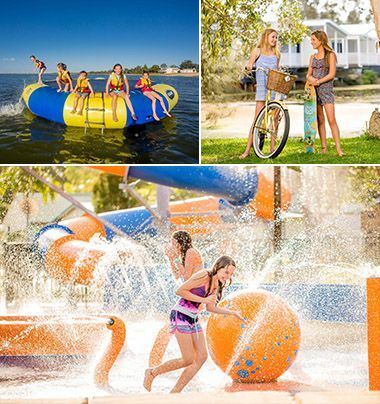 Allegro’s involvement with holiday parks operator Discovery Parks (‘Discovery’) began in September 2008 when it was appointed to manage the ABN AMRO Capital Australia Fund II (renamed Allegro Fund I), which was the 90% equity holder of Discovery. Allegro has had a long association with Discovery Parks which continues today. This case study is for the period between 2008 and 2014 following the sale to Sunsuper. In December 2010, Allegro Fund I, in conjunction with a group of Australian institutional investors, recapitalised Discovery, providing the platform for the company’s next stage of growth and development. 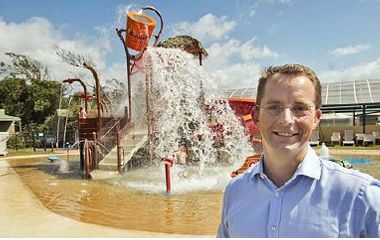 “With enviable park positions Australia-wide, leading systems, fantastic people and a strong balance sheet, Discovery is now well positioned to take advantage of other opportunities as they arise,” said Discovery Parks Founder and CEO Grant Wilckens. Discovery was established in 2004 with a portfolio of three parks in Western Australia, by 2008 it had accumulated 40 holiday parks. However, this rapid acquisition-led expansion was not supported by back-end integration and was fuelled by high levels of debt. The strategy being pursued by Discovery involved growing EBITDA through acquisitions to achieve critical mass with the intention to list on the ASX. However, this approach gave no consideration to the over-geared balance sheet, nor did it consider external factors such as the GFC and the impact this would have on the local tourism sector, further compounded by a rising Australian dollar. At the same time the company was locked in a distracting and damaging litigation with a minority shareholder who had previously been heavily involved in the business. This was impacting morale and raising concerns with key stakeholders, including lenders who wanted the issue resolved prior to considering a much-needed recapitalisation. Discovery’s most pressing problem was its financial predicament, a result of poorly integrated acquisitions and excessive head office costs. The company was in breach of its senior banking facility covenants, with its mezzanine provider unwilling to rollover the facility and other debt facilities due to expire in the next 12-18 months. Return on capital employed was just 7% and maintenance capex needed to be spent on the parks. Forward bookings had been hit by the GFC and the tight cash flows meant Discovery was just meeting interest payments. Despite rapid expansion the company’s prospects looked bleak. It was at this point that our multi-year journey with Discovery began. There were three key planks underpinning our successful turnaround of Discovery – financial stabilisation, operational restructure and cultural change.